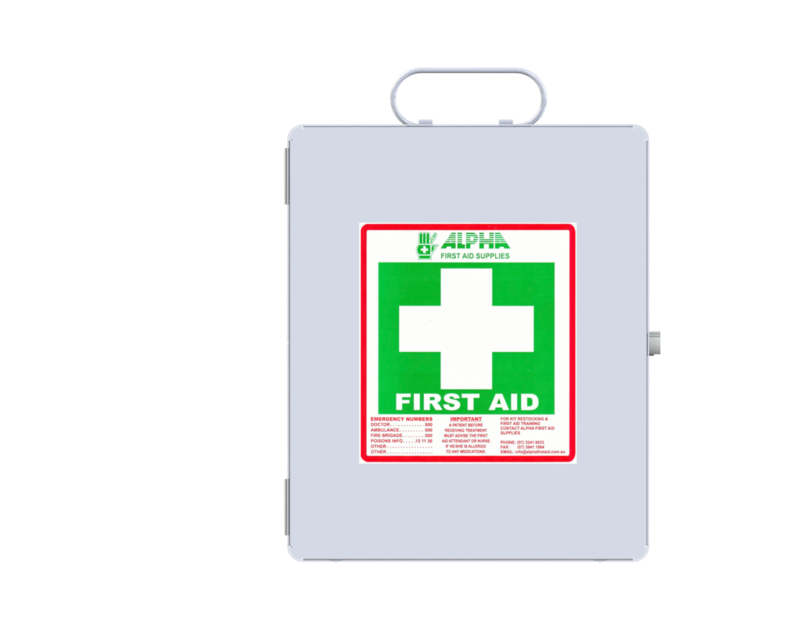 Our client Alpha First Aid. 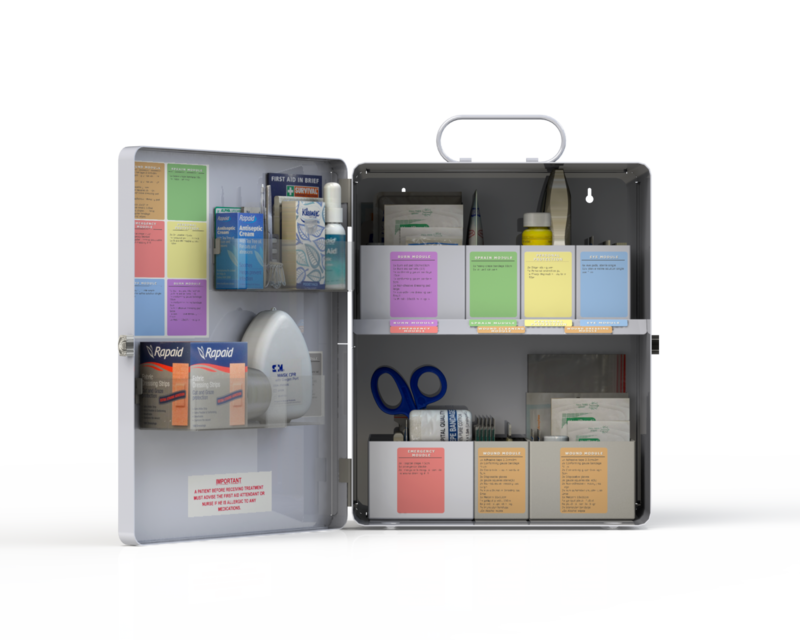 Wanted to have an updated version of one of their best selling first aid kits. 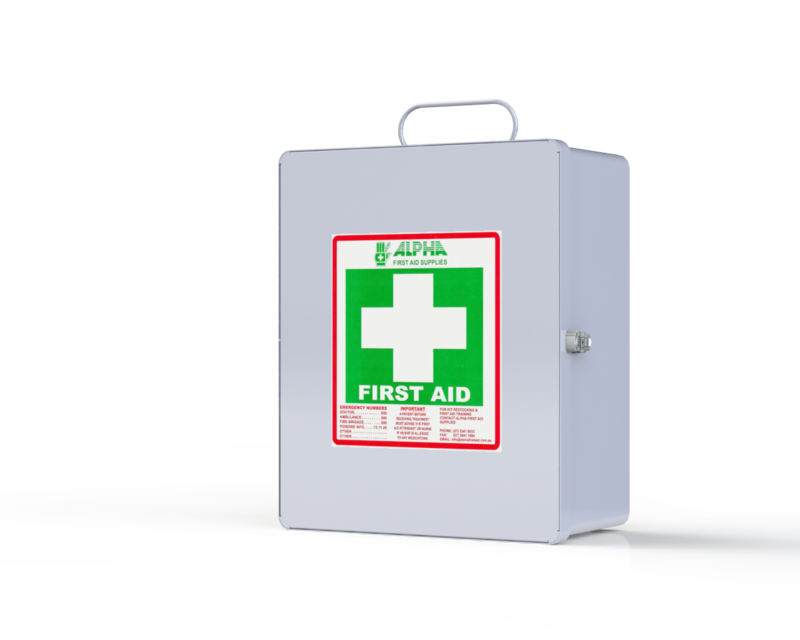 The first aid kit needed to be made out of sheet metal with a powder-coated finish. 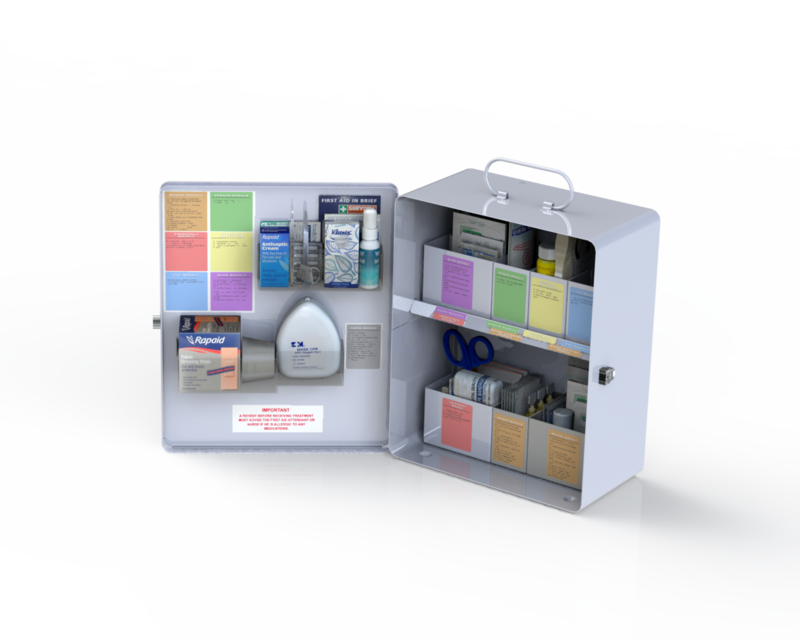 The new design needed to have a clean, simple look as well as a new system that can help people better access the first aid kit and also easily replace the used products. We studied and measured all items that were required in the first aid kit, we came up with a new coloured coded system for easy finding and easier placement of the products. Simplified the box edge look with some rounded corners. Easy wall hang key hole system was created for the first aid kit as well as easy to clean surfaces with rounded corners.